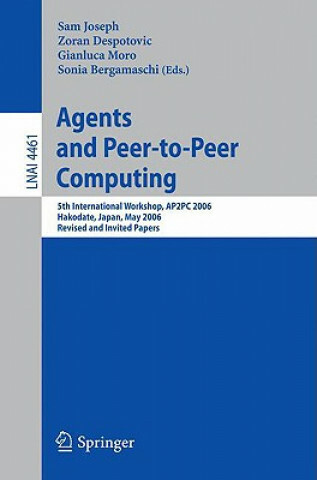 Peer-to-peer(P2P)computinghasattractedsigni?cantmediaattention,initially spurred by the popularity of ?le-sharing systems such as Napster, Gnutella, and Morpheus. MorerecentlysystemslikeBitTorrentandeDonkeyhavecontinuedto sustain that attention. New techniques such as distributed hash-tables (DHTs), semantic routing, and Plaxton Meshes are being combined with traditional c- cepts such as Hypercubes, Trust Metrics, and caching techniques to pool - gether the untapped computing power at the edges of the Internet. These new techniques and possibilities have generated a lot of interest in many industrial organizations,andhaveresultedin the creationof a P2Pworkinggrouponst- dardizationin this area . In P2P computing, peers and services forego central coordination and - namically organize themselves to support knowledge sharing and collaboration, in both cooperative and non-cooperative environments. The success of P2P s- tems strongly depends on a number of factors. First, the ability to ensure eq- table distribution of content and services. Economic and business models which rely on incentive mechanisms to supply contributions to the system are being developed, along with methods for controlling the free riding issue. Second, the ability to enforce provision of trusted services. Reputation-based P2P trust management models are becoming a focus of the research community as a - able solution. The trust models must balance both constraints imposed by the environment (e. g. , scalability) and the unique properties of trust as a social and psychological phenomenon.